I love risotto but boy is it hard work. All that time, all that stirring… Very, very rarely do I actually sit down and make it. 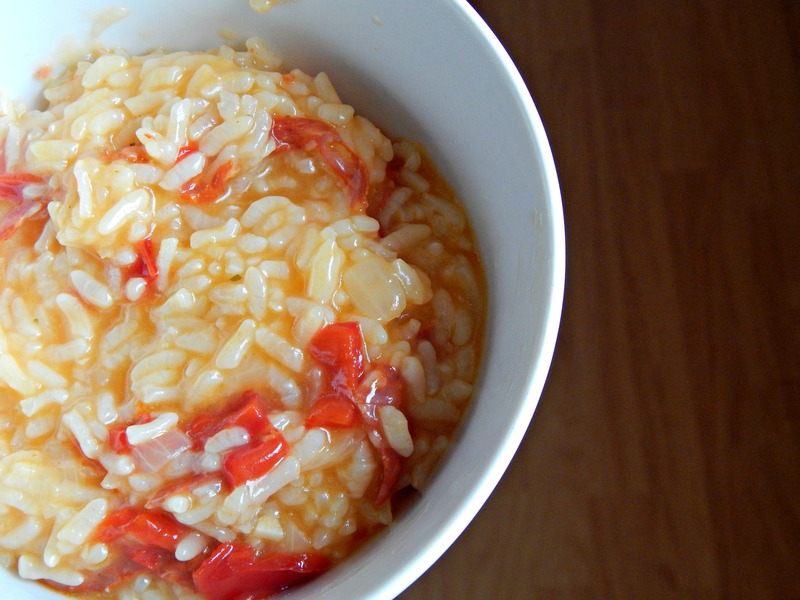 When I noticed people talking about making risotto in an Instant Pot, I was intrigued. It would certainly make me a little more likely to cook risotto but surely it was too good to be true? Happily, I’m convinced. I’ve made this a couple of times now and I think I’ve got it right so I’ve decided to share it with you guys too! 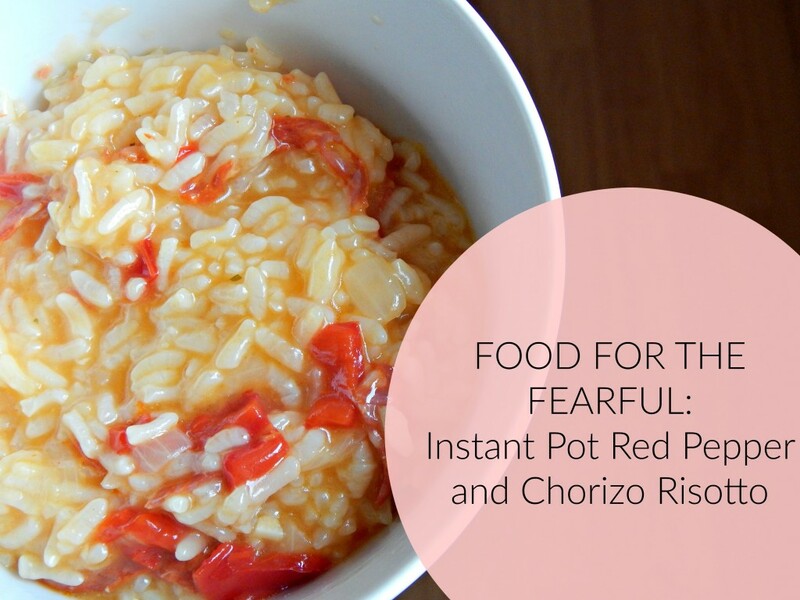 For this recipe, I’ve used red pepper and chorizo but you can swap those out for whatever you have in your cupboards. The last time that I made this I used mushrooms and bacon, like I did in my other risotto recipe. You can find that here, if you’re interested. Like I said, feel free to swap out the red pepper and chorizo but the rest are the essentials for a risotto packed full of flavour. This makes a good couple of servings but you could always double it if you have a larger household than we do! First up, you want to get your ingredients ready. Finely chop the pepper, onion and garlic. Shred the chorizo slices. Make up your chicken stock. Saute the garlic, pepper and onion together with a hearty drizzle of olive oil. As they start to soften, add the chorizo. Stir in the cup of rice until it’s nicely coated. Add a 1/2 cup of stock and stir until it has been absorbed. Then pour in the rest of the stock and give it a quick stir to get everything together. Pop the lid on your Instant Pot and manually set it to 8 minutes on high pressure. Make sure that you seal the vent. Leave it to slowly release for 5 minutes and the end. Give everything a quick stir. Serve! If, like me, you’re a bit of a cheese fiend, you can add a sprinkle to the top before you tuck in. I can’t believe how quick this is! It has plenty of taste too so it’s not like you’re missing out if you don’t have the time to make it the old fashioned way. If you make this, please do let me know!